“My wife and I have just returned from your 5 Day Kruger Safari holiday and we had the most amazing time from beginning to end. Everything ran perfectly in terms of check in and flights at both ends and Abel our Drifters transfer taxi driver was punctual, informative and humorous. We loved the lodges with each one having its own merits. Our favourite was without doubt the Bush Lodge but I have to call out Elmarie for being such a brilliant host at Joburg. We absolutely loved the big truck we travelled in. It had very comfy reclining seats and a huge freezer for keeping drinks ice cold and USB sockets for charging devices. It had big side panels that opened up in to food stores, tables and chairs for lunch on the move. Our time in the Bush Lodge was beyond anything we could ever have expected. Being our first safari we thought that the lodge would be fenced off from the animals in the park. The fact that it wasn’t added to the whole experience particularly when two lionesses wandered in to the camp on night one resulting in a quick and safe evacuation from the pool area for those who were still up. My wife and I had just returned to our tented room when we heard the land rover come down the track. Our guide Sipho came to our door and told us to come quick and get in the truck. With all on board we were able to follow the lions down the tracks until they wandered in to the bush. It was incredible and quite moving. The next evening we returned from a safari tour to find a herd of buffalo in the camp. At 3am we were woken by loud munching noises and the side of the tent rippling as we realised that the buffalo had decided to graze between our tent and next doors. I really don’t know how to describe it – scary, exhilarating or whatever but it was a something that made the whole wild and dangerous animal thing so very real. I would not have changed those moments for anything and it highlighted just how in the middle of it the Bush Lodge is. The views from from the tents and lounge area were sensational and we spent many hours watching animals make their cautious approaches to the water hole. The panoramic tour was spectacular with so many stunning features for photo opportunities. Hazyview is a lovely lodge so different to the Bush Lodge. Kruger was awesome and seeing huge families of elephants and giraffe was incredible – you just do not get that at a zoo! We could have sat by the hippo pool with the crocs for hours, it was fascinating. “We would just like to say thank you so much for a fantastic time we have had on our trip. Everything was great, On arrival at lodge we were greeted by El, so friendly, loved her! Then Sipho “captain” of our ship was an amazing, guide, driver, cook and friend. Tented Bush lodge was so nice, fantastic setting. Hazyview Lodge another fab setting. Then the Safari, awesome. Thank you once again. We hope to return for another Safari in the future. “First of all thank you to everyone for making this trip as wonderful as it was. Thank you to Drifters for have a very lovely programme, a nice vehicle and for the fact they picked Tony for this tour – he was an awesome driver, cook, landscape lover, animal lover, historian and all the other things I forgot. “I would like to give a big thanks to your team! We have been to Botswana wildlife camping tour during Christmas time and it was the lifetime experience for us! We never had a chance to be so close to the wildlife! “We travelled with you on the Southern Circle tour and we had the best trip ever! We have been around and travel 5-6 times a year but nothing compares to this trip. Every day was an adventure filled with different activities, places, people and scenery. We were never in danger and felt safe throughout the whole trip. Our guide Jesse was amazing and made our trip even more enjoyable. He was always there to help if needed and his knowledge on the animals and surroundings was enormous, he simply had answers to all our questions and we learned so much from him. His cooking skills were great, food was delicious! And the important part; his driving was really good, we never felt unsafe on the road. The most important part however was that he was extremely fun and brought the group together. People where so friendly and scenery was breath-taking. We even saw the Big Five (we spotted two leopards!!) on our trip among African Wild dogs and Pangolin which I have heard is really rare so we were extremely lucky. Our favourite part was definitely on the Zambezi river where we canoed with hippos and camped on islands with wild elephants, it felt like a dream! “I like to say a big thank you to Louis who did an awesome job being our guide! His huge knowledge about the many different animals, the nature, the culture, etc. is outstanding! I think there hasn’t been any question we asked he wasn’t able to answer. So we learnt a lot about your beautiful country! South Africa surprised us every day with different landscapes. It is a land of contrasts! We enjoyed every accommodation and felt very welcome in each place. Pure luxury with the pools, comfy beds, warm showers, etc. This surprised me a lot because I expected basic accommodation. But in my opinion every single accommodation we stayed at is kind of luxury! The managers and staff did their utmost for our comfort and we got spoiled with delicious food where ever we have been. Louis also spoilt us with good food. “This was the first guided tour I have ever done and it actually convinced me 100% to travel with Drifters again! This is due to the excellent guide and equipment we had on tour. “Doc is a great guide, attentive, extremely knowledgeable, and funny and on top of that a wonderful cook. I would definitely go on a tour with Drifters again. “This is the second tour I have done with Drifters and I hope to do another. I will recommend Drifters to anyone looking for adventure and a true feel of Africa. “I enjoyed the tour very, very, very much! The nature and wildlife is amazing. I don’t think I ever saw so many different shades of green! Jo was and excellent guide and showed us a phenomenal country. It was my first trip to Africa but certainly not my last. The beautiful nature, the touching meetings with the local people and off course the sun and “polé polé” attitude, it all touched me. “This was an amazing experience! I am impressed by how well everything worked and that the guides were so well educated in the ways of the nature. I will return! “These 24 days were exceptionally well organised. I can not find anything that could be better – I enjoyed the whole trip. The guide was great and turned this trip into an unforgettable experience. “Thank you for the best trip ever! I have learned and seen so many fun and interesting things! “We would like to thank our guide for his excellent cooking, his sense of humor, for sharing his stories with us and for driving carefully. “Tour program very well build-up: went crescendo. Nice variations of accommodation and allowing you to sleep in a normal bed. Expectations have been exceded and is something to not forget. Bernard was an excellent guide with a good mix of professionalism, humor and entertainment. “Thank you very much for those 16 special days! It was a wonderful experience. “It was great and above expectation. Just a stunning trip – thank you! “Wyatt is an excellent guide, very knowledgeable with fauna and flora. The meals he cooked for us were delicious. He made an effort to see we enjoyed some of SA specialities (Baboti and Braai). I will recommend this tour to friends and family. “I will recommend Drifters to anyone looking for adventure and a true feel of Africa, and Jo as the perfect guide to take you on that adventure. “First experience for me in Africa and it was wonderful. The guide used a lot of patience with me as I do not speak English very well. “His cooking was excellent and the information he gave us about the countries, history, tribes, cultures, wildlife and nature was outstanding. Thank you for that Takalani. “I am really happy and grateful for the way Wilma our guide took care of us and for the food she prepared. I requested gluten free food and always had good food. “I really loved the adventure with Drifters and would visit again – soon! “Really liked the trip and learned alot about Africa and the animals. Bjorn was the best guide we could wish for on this trip. I would really like travelling with Drifters again. “I would like to thank you for all the help you provided to me regarding my booking of the tour.The tour was a great experience showing us impressing landscapes, a hugh range of animals – small and big ones. Our guide was perfect in transporting her knowledge about the animals, tribes and landscapes which we passed. She is an incredible cook who always offered fresh fruit, local vegetables and one evening she even offered a fresh baked chocolate cake to us!!! “I appreciate it very much that our guide gave us very interesting insight of his and the African culture. He was always very kind and helpful. His cooking was excellent and the information he gave about the countries, history, tribes, cultures, wild life and nature was outstanding! “Having completed a number of overland trips in Southern Africa Drifters certainly has impressed me with the quality of the equipment used (camp beds instead of mats), the top notch food prepared by the guide and the overall professional nature of the guide. “I really enjoyed the tour. We saw so much great views and wild life. I learned a lot about myself and about the Africa life. “I can’t say enough good about this trip! It was an excellent experience and our guide was superb! Thank you. “Our guide did a great job. His interaction with the group was great, the food delicious and the effort he put in to make the group feel comfortable, impressive! Because of him it became not just a good sfari but an awesome trip! “This tour was a dream come true. And because of our guide it was really fantastic. I will recommend it to everyone. I am very happy with all the things we did and have seen. I will be back for Mozambique and Tanzania! “Doctor is a great guide in any way. He is very professional but part of the group at the same time. He seems to know everything and we have learned a lot from him. He always prepared my vegetables separately and I really appreciate all the effort. We had a lot of fun. Thank you! “It was an amazing tour. Our guide was very friendly, talkative and very competent. My expectations were more than expected. “I would like to thank our guide Candice, she was fantastic and we couldn’t ask for a better person to spend those 24 days with. She has a great sense of humour and were always happy. I would really like to go on a trip with her again. I would recommend Drifters to everyone I know because the standard of this trip was very good. Thank you. “Jo was amazing on this tour, knowledgeable, passionate about his job and serious about us getting the very best we could out of the tour. He was always kind, massively patient and super encouraging (especially when it came to pushing / encouraging / helping us to achieve goals.) In a nutshell, Jo was fabulous, would definitely recommend this tour to many people. “This has been an awesome experience. I am SO glad to have come. I had such a wide variety of experiences of all kinds and not only involving the wonderful animals. Arnold has gone out of his way to answer any and all of our questions and many questions he answered before they were even asked. He obviously has a vast array of knowledge which he shares at every possibility and he has the knack of getting along with people from every walk of life. I am certainly going to miss his cooking and especially his “secret herbs and spices.” Thank you Drifters for a great holiday. “This tour exceeded all my expectations and our guide just made it a memory for a lifetime!! “Takalani was a very good guide. From the beginning he brought a good atmosphere in the group. Always happy and with good humour, he told us about the beauty of Botswana’s nature, warned us of its dangers and answered our questions. It was if he knew almost everything, recognising every animal, telling the history of Botswana and explaining the things that we noticed and didn’t understand. “Thank you for a great adventure. Our guide Candice was very knowledgeable, always happy and ready for adventure. Her good humour and smile was much appreciated. “Thank you for this great experience. The group and the guide were awesome and I felt at home all the time! We enjoyed having Arnold as our guide. He was not just a guide but part of the family. He took the time to answer all our questions and knew many things. Thank you for those 5 awesome days. “After reading lots about the African culture previously, it was a dream fulfilled to do your tour and learn, see and experience so much more. Thank you Drifters. “Our guide, with his very young age, is very knowledgeable and showed enormous respect for the nature. His dedication, professionalism and energy is contagious. “Arne our guide led us on an unforgettable adventure. His enthusiasm and knowledge brought us closer than we ever imagined to Africa, the people and the animals. He was always on top of every situation and I felt safe in every way. As a result we enjoyed every day of the trip and I can only recommend this trip to everyone. “Thank you for the great adventure Candice! You were so knowledgeable, always happy and ready for adventures. Your good humour and smile were much appreciated! “The safari was very good beacuse our guide was very professional, friendly and provided everything we needed. in March 2014, me and my man ( both 26 years old, from Germany ) were on a road trip woth you through South Africa. Long Story short — He was great. Each accommodation of you is the most special places. there are too many things to enumerate all …. The truck was awesome 🙂 we loved them …..
“The food was fantastic! The guide made over the top Gluten free food for me! I am impressed. Thank you very much. “I travelled to South Africa for the first time earlier this month and took a tour with Drifters on the referral of a friend who has previously travelled with your company. It was the best decision I ever made! I’m a real city girl and my idea of roughing it has been at best a 3* hotel so this was as adventurous as I was willing to get. I was fortunate to have a nice small group of 6 and we all got along very well but what I’m really writing to tell you about is what an amazing guide Jo Cooper was! His driving first of all was great, the way he manoeuvred that big truck with such confidence was very reassuring. He was always calm and cool, not that we were in any very difficult situations but he always maintained a very peaceful attitude. His cooking and meal presentation was far beyond any expectation I every had and he put such care into every meal he prepared. I was very impressed with how seriously he and the lodges took in my gluten free food restrictions. We had some difficulty with the truck one day and he stayed calm and knew just what to do and took care of it. He never once in the 18 days had one negative moment or complained about being tired or anything and as you know they have a lot on their plate with a group every day. He was very punctual and I appreciate it that because I myself am very punctual so if I’m told to be ready at 8am I appreciate when everyone is. He was very knowledgable at the game reserves. I really was that impressed with him that I wanted to let you know personally. I also must commend you on your lodges, the way you respect the integrity of the land around your lodges is beautiful. Voosi was an incredible guide as well the first 2 days of the tour. I liked all the lodges but have to also commend the Karoo for their outstanding service. Wishing you, your family and all the staff at Drifters a very happy, healthy and prosperous New Year! “This was an amazing tour. We had great fun everyday and have done so many amazing things! Thank you! “I enjoyed the trip very much. The guide knew a lot about nature and the animals. We had a lot of funn to and the meals fantastic! “Our guide was humerous and very hard working. I had a lot of fun and i am really impressed by his energy and dedication. I had a completely enjoyable time! “The food was above all expectations. Our guide made so many different and tasty meals. He also adapted the meals very well for the vegetarian on tour. “I really appreciate the professionallity of our guide Takalani. For the whole tour I felt safe and he always had an open ear for us. It was a great pleasure to travel with a guide with such great experience, lovely sense of humour and bale to cook delicious food in the middle of nowhere. “We just finished a Drifters trip to South Africa which began on January 28th with Riekus Groenewald as our Wonderful guide. I just wanted to let you know what an awesome young man he is and how reliable, capable and fun he was to be with. Also our stay on the Wild Coast with Sharon and John was truly amazing. I have never felt so welcome in a place and the food and their hospitality was honestly better than 5 star. ”I would just like to take an opportunity to expand on our comments of our Tour Leader Jan 29 – Feb 15. While our scores were indicative of our thoughts of his overall performance, we thought we would like you to know a little more about Takalani’s performance. ”Great food, great trip, great guide! Will definitely be in touch at some point for another Drifters tour”. “I was on the Overland Explorer Tour from 22.3.2013 till 08.04.2013 with your Guide Jo Cooper. Jo is a very good guide. He drives the truck very good, and his cooking is just fantastic an he knows a lot about South Africa, Game and lot more and he was always nice an friendly. Our Groupe was also very nice and we have seen such a lot of different game, landscape and lot more. So I had time of my life an I am sure I will come back an do with Drifters the 24 Day Tour from Cape Town to Jo’burg. My girlfriend and I thoroughly enjoyed our ‘Southern Circle’ over-landing experience and were particularly lucky that we shared the truck with just one other couple. The activities in Vic Falls were awesome, the game drives were fantastic- particularly Chobe and Luangwa- and canoeing the Zambezi was truly wild. Inhambane is stunning and I wish we had even more time there. Hazy View Lodge is the perfect way to end the trip. Loved every second of it. I’d also like to give a special mention to Bert who absolutely made our trip so much incredible than it otherwise would have been. His knowledge is astounding and is rivaled only by his charm…and perhaps his cooking! We all agreed that Bert’s combination of mild manners and patience makes him perfectly suited to his role as an over-landing guide. We got the impression that nothing was too much trouble; he even went out of his way to source some fresh prawns and ingredients so that I could cook my signature dish for us all in Mozambique. Bert set the tone for the trip brilliantly and never gave too much away so that every day was somewhat of a surprise and filled with anticipation. As well as a passionate wilderness expert it’s safe to say that Bert is a natural born salesman who instinctively ‘under promises and over delivers’ on every occasion. If we ever return to Africa for more over-landing (and it’s a safe bet that we will) then I would love to be so lucky to have Bert as our guide and friend once more! Superb. “In July, we went on the Southern Circle trip with Drifters. It was the first time we went on a trip with such organisation, as it also was our first trip through Africa and our first long holiday. We booked it almost one year in advance so we were really looking forward to it. And that is exactly the reason why I send this email and I take the time to contact the headquarters of Drifters. Our guide was Louis “Kudu” Lock and from the moment we met him at the Drifters lodge in Jo’burg, the anxiety described above, disappeared. From that moment, we knew that he might fulfill our very high expectations and that we could dream on about the things that awaited us. As the trip eventually started and went on and on, the dreams and the feeling we had at that moment became reality. The trip was even much better as we ever could expect. This thanks to the materials of Drifters, the wonderful Africa but, I think, most of all thanks to the care from Louis. I really admire him how he manages everything, day after day… He was always taking care of us, very comprehensive and taking every single member (!) of the group into account. There was one vegetarian in our group and every single day he took the time to cook something for her and to provide some special things for her. Every single day, we enjoyed very nice and fresh meals you sometimes don’t even get in restaurants. Every single day, Louis woke us with the kindness you can’t expect at that hour and prepared a breakfast that you won’t even get in a hotel. Every single day, everything was so clean and hygienic. Every single day, his driving skills were tremendous (damn, how can someone drive like that for more than 12 hours a day). Every single day, he told us stories and gave us interesting information on the animals we saw. Every single day he was, like he sometimes said himself, our mother, father, cook and driver but I can add so much more like our advisor, guardian angel, ranger… He was our “David Attenborough”. And when I met him at first, I envied him a little bit for having such a nice job: some driving, some cooking, looking for some animals, always travelling… But while we were on our trip I realized how tough and difficult the job of a guide is. And then also realizing how much “extra” Louis does, comparing to other guides who sometimes only give dry bread with some coffee in the morning (we had eggs and everyday fresh fruits!!!). That is why I admire Louis and his work. He puts a lot of effort into it, making it an unforgettable experience for us that showed Africa in its full possibilities.. I just want to thank you!! 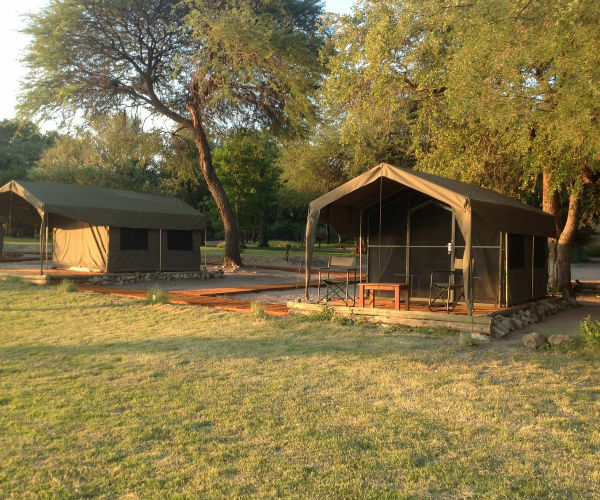 I was at the namibian camping safari tour from the 6th to the 17th of august and I had an amazing time. There is a lot of experiences I will hopefully never forget:) Also thanks to Charles (our tour guide) we had a great trip. He is an amazing guide, he knows the answer to almost everything, he is an excellent cooker and driver! We could really see that he is talking out of all his experiences and that he really likes to do what he does. But I m sure you already now that:) I think all of us enjoyed it a lot. “We have returned from a wonderful SA Tour with your outstanding guide Fraser. We would like to acknowledge all of the Drifters staff that we have had dealings with on our trip and hope you can pass on our appreciation to them all. Too often people are very quick to email with complaints but we are emailing our gratitude and wish for all the staff to know they are doing a wonderful job and it’s because of them that we wish to return to Drifters. We would like to begin with acknowledging Lourette. Lourette kindly assisted us with our booking. We emailed her requesting her assistance to book another tour with Fraser and she so graciously assisted us with informing us when he was going to be conducting another SA Tour. Her assistance in helping us book the tour with Fraser made it that much more enjoyable. Lourette always promptly responded to our email enquiries. Booking with her was such a breeze, very quick and very efficient. A huge thank you to Lourette. Gary at Johannesburg Lodge. It was so lovely getting out of the transport vehicle to a warm welcome from Gary. We felt like long lost friends when were greeted. He has a lovely friendly manner with all of the guests. It was a great start to our holiday. Thank you Gary. Looking forward to seeing him soon. Andy’s Camp – we had the pleasure of meeting Shane. We shared some laughs with Shane and enjoyed our walk with him and Fraser. We were lucky to see a scorpion on our walk and the excitement Shane displayed at finding the scorpion made it that much more exciting. We learnt a lot on our guided walk. Zululand Lodge – Karren once again provided us with a delicious breakfast, thank you for the chocolate cereal. Thank you Karren for your quiet warm manner, our accommodation was lovely. Dolphin Coast – we warmly welcomed by Sophie and Debbie. It was so lovely to stay at the new lodge. The ladies once again provided us all with a lovely stay. The great company and beautiful view made our night at the lodge memorable. We look forward to returning to Dolphin Coast. Drakensburg Lodge – Carol was lucky to meet Allen and Claire at Johannesburg, so our arrival at Drakensburg again was a warm welcome. Allen remembered Carol enjoyed drinking Fanta. The Drifters staff are amazing, as he had only met her once but remembered her and her favourite drink. 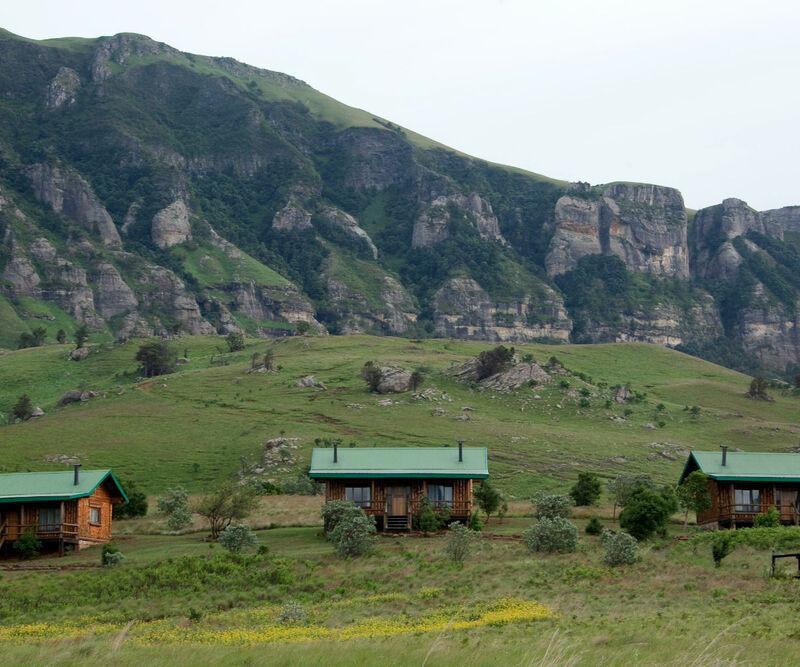 Drakensburg is a beautiful location and the lodge had a lovely warm, friendly, relaxing atmosphere. Best French Toast I have ever had. Thank you Allen and Claire for a beautiful stay. Hope to return and complete the full hike of the mountain. Karoo Lodge – after a very long drive we arrived at Karoo to another warm welcome from Jacques and Nadine. We enjoyed a lovely camp fire and singing. Thank you. Knysna Lodge – this lodge is a absolutely beautiful. Margaret has created a beautiful atmosphere. She was very helpful with her advice and warm chats. Thank you Margaret for the pancakes. Cape Town Lodge – thank you Nicole for the relaxing atmosphere. A lovely way to end a fantastic tour. You may have thought I had forgotten Hazyview but we haven’t. A very special mention for Hazyview as we absolutely love this lodge. The location is idyllic. The warm friendly welcome from Ilse and Hennie was beautiful. This lodge we feel is where the tour group starts to get to know one another and Ilse’s manner assists with this. The gathering around the bar and sharing stories helps with the bonding of the group.Ilse has such a lovely manner about her that words cannot describe how much of a beautiful person she is. We would love to spend another night at Hazyview. A huge thank you to Ilse for our warm welcome and special dinner setting. We are lucky to have met a beautiful woman who clearly enjoys her job. And lastly, a HUGE thank you to our wonderful, awesome, outstanding, caring, knowledgeable guide , Fraser. Fraser makes the trip. He has a wonderful sense of humour that we enjoy. Laughter on holidays makes it and Fraser provided us with a lot of laughs. Aside from his good sense of humour, he has so much knowledge. It really is true when people say you learn something new every day, as we did, every day Fraser provided us with something new. He truly and genuinely loves his job. To be with someone every day who enjoys their work is a wonderful feeling. He enjoys working for Drifters and is a wonderful advocate for the company as we witnessed on tour. Many people would admire the truck and ask about the tour and Fraser was more than happy to talk and provide information about tours, you saw people walking away impressed with what he had said. We too, are also happy to promote Drifters. We were lucky to go on tour with Fraser and we look forward to hopefully touring with him again in the future. He has set a very high bar for other guides to meet. We have been on other tours with other companies but none of the other guides or companies match Fraser or Drifters. We love when people want to know who we have booked with as it gives us the chance to promote Drifters and relive our wonderful time with Fraser. Thank you Fraser for the wonderful memories and we look forward to seeing you again soon. We look forward to booking with Drifters in the very near future. We had such a good time. 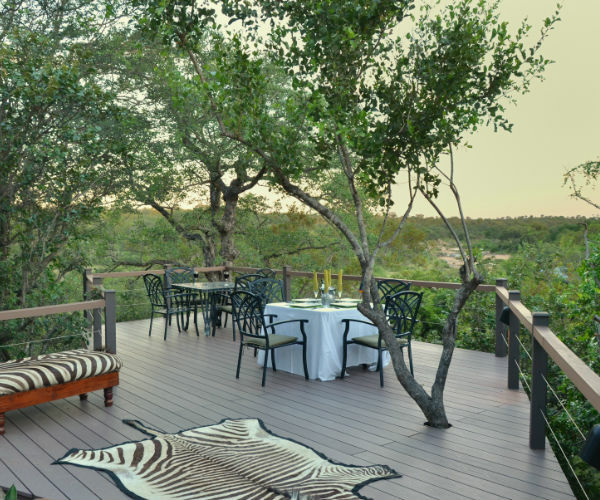 “I recently stayed at Drifters Game Lodge in South Africa (13th-16th march) & wow, what a place! I absolutely LOVED it! 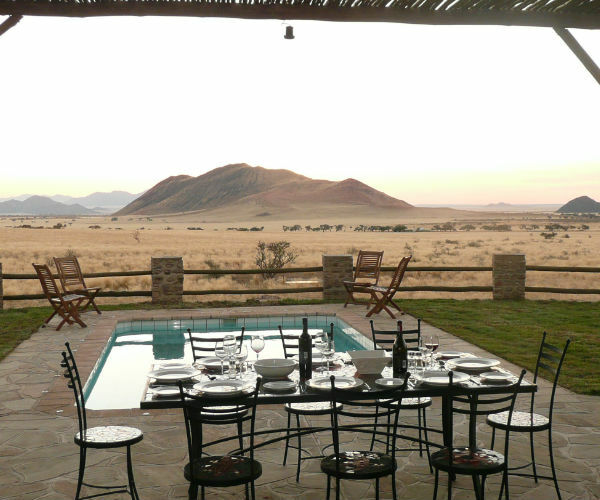 The game drives, the location, the meals, the accommodation – everything! I would like to personally thank our game driver, Isaac – he was fantastic! Everything we wanted to see – he found for us. He has an awesome sense of humour & he really made our stay there a highlight!! What a star! I’d also like to thank the managers Belle & Gavin, the barman James and everyone else involved – they were all so delightful and made us feel so welcome. I was actually sad to leave, not only because of the place but because of the people. I have highly recommended drifters to all of my family friends at home, some of which I believe will definitely come in the next year or two. I hope to visit Drifters again also in the future. “My sister and I went on the East Africa Tour which departed from Nairobi on 28 January 2012. We just wanted to write to thank Drifters and especially our guide Alfie for a fantasic trip. We were very dubious about going on a camping tour, compared to staying in lodges, but can say that we definately picked the right option as camping allowed us to be amongst it all, especially the nights we stayed at Serengeti and Ngorongoro Crater with the wild animals so close (those nights were amazing). The itinerary was perfect and included everything we wanted to see plus more, the accommodation was fantasic and the food was really yummy as we didn’t expect to eat to the standard that we did considering we were camping. But most importantly, we cannot say enough about our guide Alfie and am certain he contributed to the huge success of our tour. He informed us on a daily basis of exactly what we would be doing and where we were going that day, what to expect and what not to expect. He calls a spade a spade and we appreciated his honesty and no nonsense attitude. He’s a “top bloke” as we would say in Aussie and is definately the type of guide we were hoping to have. So thank you Drifters and Alfie for a tour that exceeded ALL our expectations. We will certainly be recommending Drifters to others and rebooking with you when we return again (soon we hope….we loved Africa). “Yeah Drifters is the Best !!! Thanks so much guys we just love booking your tours !!!! I’ve just landed in Milan. This e mail is to thank you. I will remember forever my “Botswana experience”. Everything (tour organization, guide, people) was simply perfect. I’m already missing Africa! “We are back in the UK now having had a fantastic tour with Drifters. We want to thank everyone at Drifters for making it such a great trip, from booking to the very end of the trip everyone was so helpful. The Drifters accommodation was great, and we especially enjoyed staying at Jo’berg, Andy’s Camp, Hayzview and Knysna. The accommodation in Drakensberg and Karoo are in stunning locations and despite their remoteness facilities, food and drinks were superb and the hosts, especially Baden were great company. Our guide was Louis Lock and he was a star throughout the whole trip. Louis’s enthusiasm, knowledge, organisational skills and commitment were fabulous and he impressed us greatly in all that he did. He was great fun to be with and his humour and catchphrases will be remembered for a long time, it was an adventure not a holiday and we travelled in a truck not a bus!! Please pass on our thanks to Louis and also share our comments with the senior managers (Andy Dott?) at Drifters as we do want to acknowledge how appreciative we are of the staff and especially Louis, he deserves recognition. “My husband and I recently spent four night at the Drifters Lodge in Swakopmund. It was our first visit to that beautiful town and thoroughly enjoyed it. When looking for accommodation, I thought it would be a good idea to let my son make that decision for us as he works there. He went to a couple of places and decided on Drifters as, in his words,: “the manager’s personality is so bubbly and warm, you would love it there”. Agnes really is an asset to Drifters! She is a wonderful warm person and made us feel at home from the moment we arrived there. The room and bathroom were spotlessly clean and so was the breakfast room. She even made “sunny side up” eggs for my husband, which was a challenge, as she normally makes scrambled eggs for the bigger tour groups! She went out of her way to buy rice cakes for me as I do not eat wheat. “It was a fantastic trip. As Wilma said – an adventure – not a holiday. We were very lucky as regards our animal sightings – 4 out of the ‘Big 5’ – all but the leopard. However we were rewarded by 2 sightings of cheetahs. We saw a migration of wildebeest, a hyena making a kill and a lion feeding on a hippo – just a few of the highlights. I was fascinated by the insight we gained of the Masai people – their culture and way of life. I was also impressed with the standard of equipment – truck and tents – used on the trip. Having previously been on a truck and camping trip with another company I can say that Drifters equipment was of a much higher standard. Wilma, our driver, guide and cook, worked tirelessly to ensure the everyone on the trip got the most out of their adventure. She was very knowledgeable about the animals and birds that we saw. Any questions that she was not able to answer immediately, she very quickly came back to us with an explanation. The standards of meals she produced was excellent and she coped with any issues that arose (including 2 flat tyres) in a very professional manner. The group was a good mix of people – both in age range and personality. I really enjoyed the trip and found very little to find fault with”. “Just got back from my East Africa tour and I couldn’t wait to provide some feedback. This was my first time in Africa and my first experience with Drifters. What can I say? It was awesome and I really had the time of my life! Very well organized, the itinerary was perfect and included everything I wanted to see – Masai Mara (the locals were amazing! Thanks Dennis! ), beautiful Lake Victoria (I will never forget the night swing on the beach), indescribable game drives in Serengeti and camping near to wild and probably hungry animals, Ngorongoro crater one of the most outstanding landscapes I’ve ever seen and much, much more. The food was very good and the truck, beside being almost new, behaved perfectly. My final and most important remark goes to our tour guide – Wilma. She was our guide with a profound knowledge of all the fauna and flora, driver, top chef and motor mechanic. In countries where things don’t usually work like you are used to, she made us fell save. But most important, she was a friend that I intend to keep for a long time! There was nothing, absolutely nothing lacking during my stay and everything was exceptional. I definitely rate my overall experience as a perfect and I’ll recommend this tour and your company to all my friends. “Dear dear Lourette – and the rest of Drifters. I came home a month ago from South Africa. I participated in your “South Africa Overland” – trip. I am very sorry that I haven´t written you before, but a combination of Christmas and almost too many impressions have made it impossible to find the right words. Until now. I just want to tell you that I am so impressed by your work. I have had one of the greatest trips ever – and it is because of you. I know that you are quite blessed with such a beautiful country, but without you sense of organization, your quality of lodges and truck and ESPECIALLY your high professional guides, it would not have been the same. Throughout the last years, I have been on quite a lot tours around the world – and for me the guide does the difference. As a customer, you travel with an expectation of having guides with cultural, historical, social and communicative skills – and in Africa, off course knowledge of the flora and fauna. I might say that no matter how high my expectations were, I kept being impressed. I know it is a matter of the guide as person, but it is the task of Drifters to pick, educate and maintain those guides. And you do this job amazingly good. That is probably why we almost never hear anything else but compliments, when our clients return from a Drifters Adventure. My guide was Bernhard and please send him a special thanks, even though I know you have several great guides. Another thing, which might not been unsaid is you choice of lodge managers around the country. Every single time we felt so welcome and everybody did such an effort to let us feel comfortable and show us the local area. Please send these managers a great thanks as well. Lourette. Will you make sure that all relevant persons in the organization will receive this email? Meanwhile I am training the other agents locally to ensure even more sale of Drifters products. If you have any questions or comments, do never hesitate to contact me. “There is no way that I could have had any better a time than the one I had on the Drifter’s 18 Day JHB to CT tour. Firstly, what can you say about our tour leader extraordinaire Zane Nortman. While there is no doubting the beauty, spectacle and exoticism of the scenery, fauna and flora of this incredibly gorgeous country, Zane made the whole trip even more special and interesting in his attention to his pax in highlighting along the way things that may have been of special interest to them, which made the whole experience even more worthwhile. All in all, he took extra effort in everything he did which reflected a deep sense of pride in his country and in his work. We were incredibly lucky to have such an incredibly, lovely, fantastic guy that was also an absolute pro from head to toe! All of the lodges were also wonderful in the most idyllic settings. “We would like to write to you and thank you for an amazing and unforgettable visit to your lodge over the Christmas period 2012. We thoroughly enjoyed our stay and the staff went out of their way to make us feel welcome and to cater for our every need. The food was outstanding and we were amazed at what could be done with so little fridge space and such basic amenities. Plan your next Safari tour with us. Choose your Africa Adventure Now!